Scroll down to see where Eric is speaking next. To invite Eric to speak, please complete our speaker request form here. Eric will be speaking at a private event on the evening of May 1. Eric will be speaking at the Morning Prayer Breakfast for Anderson County on May 2. More details coming soon! Eric will be speaking at a private event on May 3rd and 4th in Santa Barbara, CA. 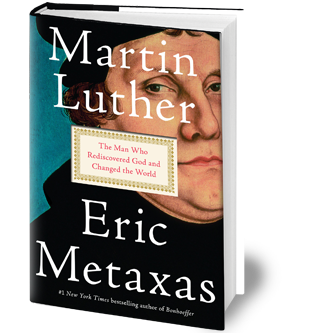 Join us at the Museum of the Bible for this Socrates in the City conversation with John Lennox and Eric Metaxas! Click here to purchase tickets. Eric will be speaking at the First Love Works conference in Northfield, MA! The gathering will take place at the Moody Center. More details to come! Eric will be speaking at the 2019 Christian Union Summer Getaway, July 13-20 at Camp of the Woods. More details coming soon! The World Leaders Forum presents a Socrates in the City conversation with former U.S. Ambassador to Japan Caroline Kennedy, hosted by Eric Metaxas. The event begins at 7pm at the Renaissance Schaumburg Convention Center. Learn more and purchase tickets here: worldleadersforum.info.